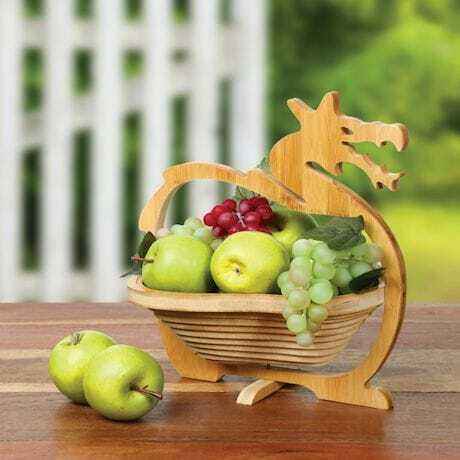 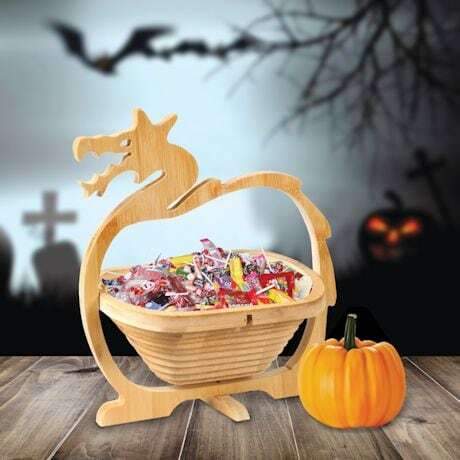 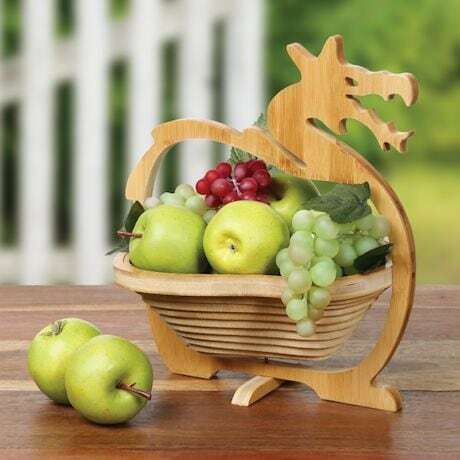 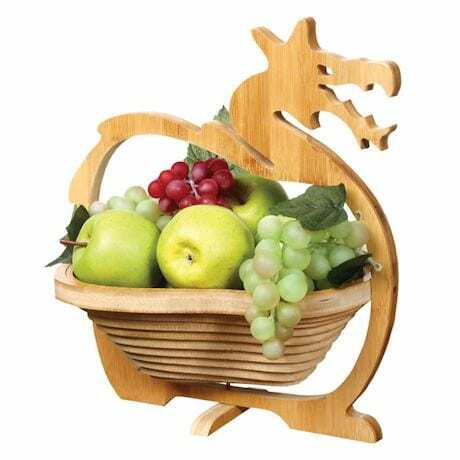 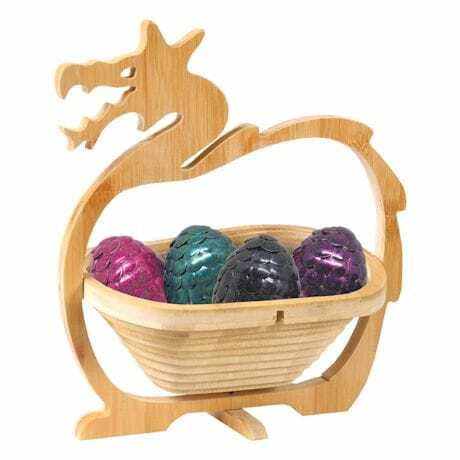 A wonder of woodworking, this folding basket features a handle shaped like a ferocious dragon; lift it, and a cutout swirl transforms into a deep bowl to hold counter top fruit or household clutter. 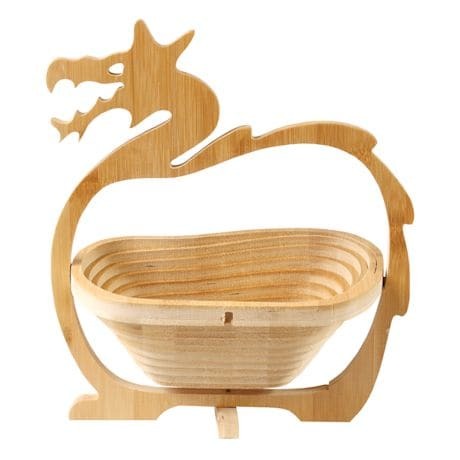 A must give for fans of fantasy storytelling; precision-crafted in Eco-friendly bamboo. 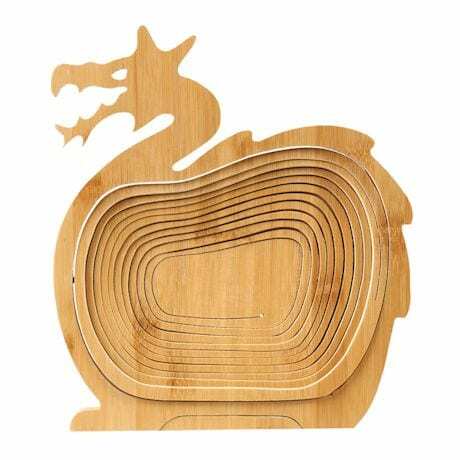 10 1/2" x 12" closed; 10 1/2" W x 12 1/2"H x 9" D open.